A shocking claim of a policeman made the rounds online. 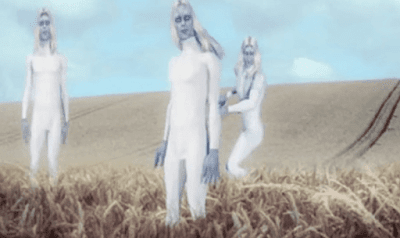 Several tall white aliens reportedly emerged in a newly-built crop circle in Wiltshire. The officer, who chooses not to be named to protect his career, was off duty when strange beings emerged in the middle of a field with crop circle formation. The man noticed an activity from a distance and stopped his car to investigate after having a strange feeling about it. He reportedly approached the trio, which he described as taller than six feet with long blond hair. However, the trio ran away after the police officer heard the sound of static electricity. To the witness’ surprise, the three men ran away faster than any other human beings. The officer considered the event as almost unreal, which apparently happened on July 6, 2009. After the trio had run away, the witness drove straight back to Marlborough in Wiltshire. He later contacted paranormal experts and crop circle investigators, Andrew Russell and Colin Andrews. Mr. Russell said that the witness initially thought there were forensic officers in the field as they were dressed in white coverall. The unusual figures seemed to be checking the crop. The noise was still around after the trio ran away from the witness. The police officer claimed to experience a pounding headache that he could not shift afterward. Colin is convinced to the testimony of the police officer. Colin added that he saw no reason at all why the police would make up the story. He believes that there’s too much additional information to say that the event is something in nothing with the unusual movement of the beings and the poltergeist experiences. The experts suggest that the three were part of Tall Whites, an alien race that has been the subject of several sightings throughout the years. Meanwhile, a Wiltshire Police spokesman refused to comment on the news because the reporting witness was off duty, making it a personal, not a police. 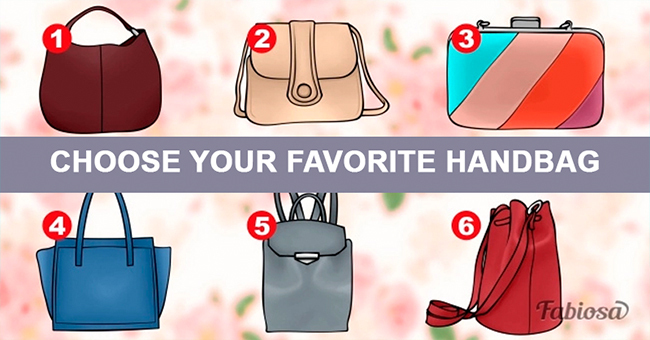 What Does Your Handbag Reveal About Your Personality? Each woman is unique in her own way. And it’s absolutely amazing! Life would be so boring and uninteresting if we all had similar preferences and taste. A handbag is one of the most important accessories for every woman. 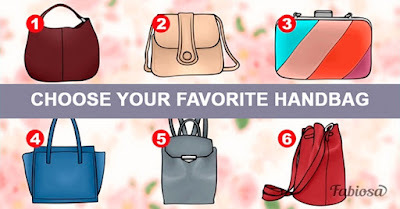 Read on to figure out what exactly your handbag is telling the world about you. You are a responsible person and never let people down. Your colleagues highly respect and value you. Your leader at work always knows he can rely on you. You are extremely responsible about the education of your children. Most likely, you are a member of a parent committee. You are always there to help everybody with your advice. Among your friends, you are the organizer and the one everybody relies on. You never sit still and you are always on the move. You are an independent person. Men like this quality of yours and you have a lot of admirers. You tend to be single for quite a long time. However, you don’t care much about it. You spend your time on yourself. Most likely, you work in a creative environment. If not, you strive to work in one. You do not rush to have children. You are a true business lady with a somewhat domineering character. You have always been a leader. If you don’t occupy a leading position, you strive to take one. Your friends are mostly men. Women tend to dislike you. However, you don’t care much about it. You are a hard worker, who can cope with any task. You get married and have children either too early, or at a fairly mature age. You are extremely stylish and trendy. You know everything about the latest trends of fashion and beauty. If you don’t yet run your own fashion blog, think about it! You attend all the fashion events in your city. You live your life the way you want. You travel a lot, and one day is more than enough for you to plan a trip to an exotic country. You will never tolerate something you don’t like. Your self-esteem is quite adequate. When it comes to clothes, you are for comfort. Most probably, you have a nice short haircut. You prefer soft makeup. You are very sociable and have a lot of friends and acquiantances. You could make a good artist, radio presenter, makeup artist, stylist, or an illustrator. When it comes to femininity, none of the above-mentioned ladies is able to compete with you. You always look gorgeous. You have a lot of friends. You often go shopping or to a cafe with your friends. In addition to traveling a lot, you attend most of the social events in your city, where you can make new useful acquiantances. 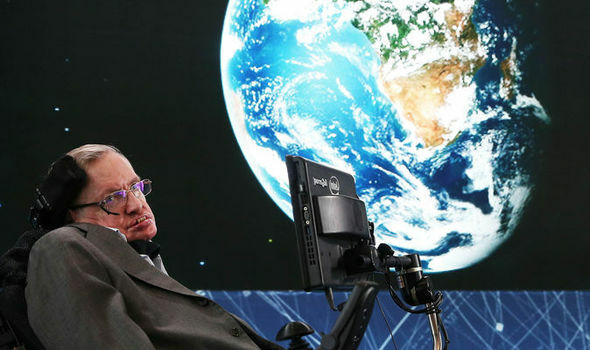 STEPHEN Hawking has warned aliens could kill humans if we ever try to contact them as he spoke out about his fears that alien life could conquer Earth. He said while planet Gliese 832c – a hot super-Earth discovered earlier this year – has the potential to support alien life, it is unlikely that any life out there would be pleased to hear from us. Gliese 832c – a hot super-Earth discovered earlier this year In a documentary entitled ‘Stephen Hawking’s Favourite Places’ , he said: “One day, we might receive a signal from a planet like this, but we should be wary of answering back. He went on to say that alien life could be “rapacious marauders roaming the cosmos in search of resources to plunder, and planets to conquer and colonise”. 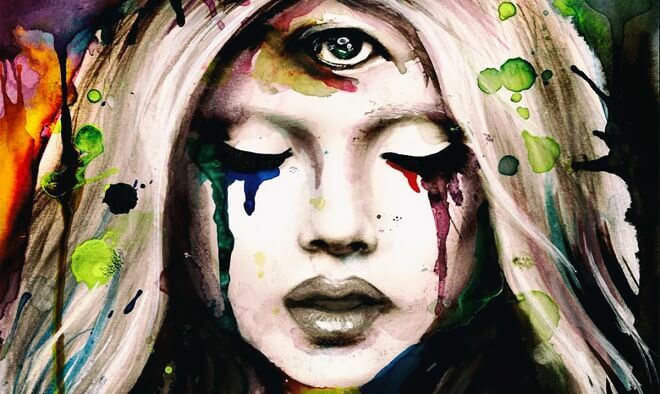 Empaths come into the world already experts of nuance and what isn’t revealed. A true empath can discern which way is up with others, but it doesn’t mean it is fun for an empath. It’s often quite the opposite. It isn’t easy for them to call out a friend, relative, or colleague on being dishonest on a ‘hunch’. Because for them, it is never just a hunch. They don’t just hear truth or dishonesty, they feel it. They are connected to the unseen field of consciousness via their extra ordinary open senses, the first one being their intuitive sense, a.k.a. the sixth sense, but it is really our first, original sense. Because of this, they will almost always surround themselves with a close-knit circle of like-integrity and like-vibe people who share in an uplifting, supportive, peaceful give and receive way of being, without the heaviness of the toxic energy of expectation and demand. This allows them to remain connected to the field and in the higher levels of vibration it requires to maintain their energetic and physical bodies allowing them to maintain a vessel of clarity. Keep in mind; empaths are far from perfect. They came here to experience joys, happiness, sadness, loss, love and struggle like everyone else. They are often misunderstood and don’t feel they fit in the world like most. And they thrive when they finally realize they came here to help usher in sensitivity, by using their own, to help heal a world that values the opposite. So, it is just as important to their human experience and purpose as it is to yours that they learn from their life experiences. If you have a friendship with one, chances are they one of your more trustworthy, dependable friends with traits like loyalty, kindness, and honesty. But don’t assume their sensitivity is a weakness; it’s their strength. And the more they trust themselves, the stronger it gets, and the easier it becomes to walk away from toxicity and towards relationships based on respect and ease. Their radar is always receiving so they become adept at picking their peace and choosing their battles. They not only know when they’re being used as an ear for their sage advice as they’re known for saying just the right thing, or for opportunistic reasons, they know why. (see #1). 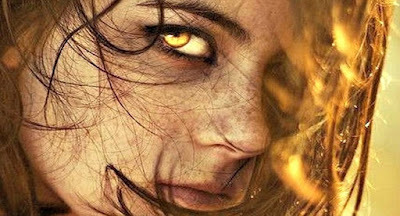 True empaths have an innate empathy for others and won’t fight an inauthentic fire with authentic fire. They will walk away from unhealthy, low vibration situations quietly. It doesn’t matter what the gift is; flattery, companionship, a great opportunity, money, or a ride home from the airport. If there is a hint of a string attached or a whiff of agenda, they will know. Not Everyone Has this Line on Their Palms- This is What it Means if You Have It! You can notice that some people have that curvy line found under the ring and middle finger. This particular line can cover entire circle or two divided, smaller lines. People know it as Venus’s circle or love belt. This line is common in people who are sensitive and vulnerable to love issues. If one’s circle is closed, this means that love disappointment is imminent. 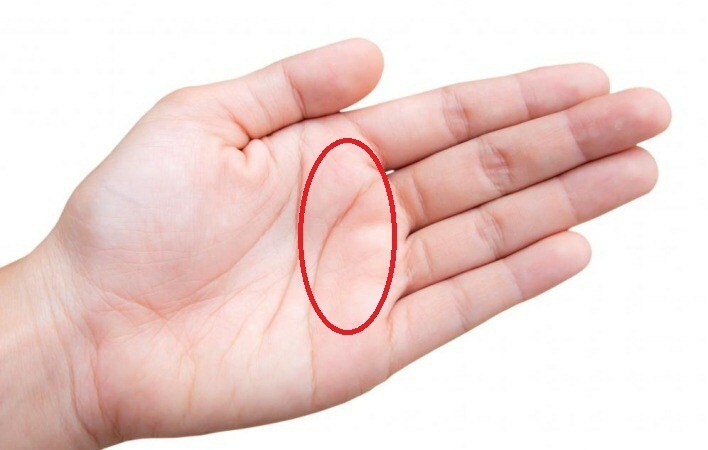 So, in case you have this circle on your palm, you shouldn’t take the relationship disappointments as painful and fatal things, instead take them as a life lessons. If the line makes semi circle, it is a sign that you will face some love problems in some point of your love, but these problems are not unsolvable and you will manage to handle them. In case you have few semi circled lines, one beneath another, then you have very emotional and sensitive character. You know that the palm readers are claiming that they can read your future, reveal your character and emotions and tell you what the different lines on your hand mean. One thing is clear, that the heart line begins near the middle of your hand at the edge of your palm and finishes toward the pinky finger. 1.) If your heart line begins here, then you are ambitious person. You are intelligent and independent one who is very objective when it comes to judging people and actions of other people. You are also good in making decisions. People often see you as selfish and materialistic person. You can use your qualities to make the society and yourself better. 2.) If your heart line has this form than you are kind, believable and careful person. You are open person and often give away your heart easily. 3.) If your heart line has this form then it means that you are confident when it comes to love. You are always happy, no matter if you are single or in relationship. 4.) If your heart line has this form than you are patient, calm, caring and open-hearted full with positive thoughts. You are cheerful person. As human beings our bodies are full with energies that are flowing through us. We might be unaware of these energies but waking up every night at the same time is a sign from within us that we should’t ignore. According to an ancient Chinese medicine, the energy zeniths of the body are connected to a clock system that is energizing different parts of the body at different periods of the day. So having trouble sleeping at some period of the night might be a sign that you have health problems and you need to change something. This is the most typical bedtime period for most people. Having trouble to fall asleep during this time probably is a sign of stress and worries from the day. Exercises of successive muscle tension and relaxation are recommended for helping you sleep. Also meditating and positive mantras are important too. Waking at this time is a sign that the gall bladder is active, which according to the ancient Chinese medicine is associated with emotional disappointment. In order to go to back to sleep you should practice forgiveness of others and yourself and also a self – acceptance. According to the Chinese medicine waking in this time is associated with the liver which is connected with emotions of anger. Drink cold water and take control over the situation that make you angry, and this will, eventually, help you sleep better. 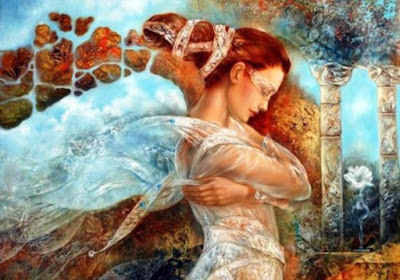 Pay attention if you are waking up in the period between 3 am and 5 am, because this might be a sign that the Divine Power is sending messages to help you to connect with your higher purpose. Chinese medicine assumes that waking up at this time is also associated with the energy zenith that runs through the lungs which is connected with emotion of sadness. In order to sleep better try breathing slowly and deeply and pray the Divine Power within you to protect you and help you. Early mornings are associated with emotional blockages and problems with large intestines. In order to go to back to sleep try stretching your muscles or use the bathroom. 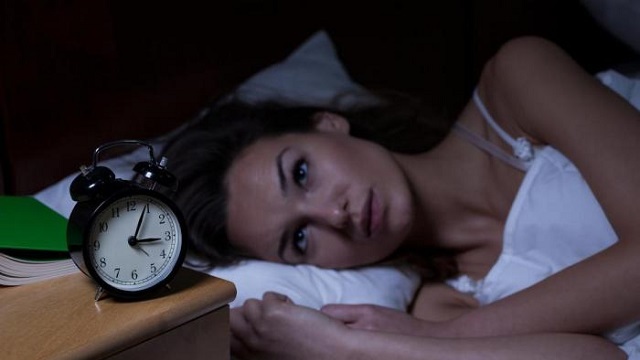 This phenomenon of waking up suddenly is called sleep inertia. We are not capable of intelligent thoughts or making important decisions because the prefrontal cortex is not awake yet. Waking every night at the same time is a sign from the Divine Power that you need to change something. You are receiving messages about your path, and about the spiritual journey that you are on. You are here to learn and develop the best version of yourself. Being aware of your higher purpose is part of this process. Of course, you always complete your tasks. You’re a modest, yet enterprising person, and you generally do things with a great sense of humor. But, above all, you fight to maintain peace and tranquility in your life and your environment. You know how to meditate during arguments, but you fear confrontation and retreat to those places you consider tranquil and safe. Here, you know you can be safe. You have a hard challenge in front of you: learning to accept and go with the flow, dealing with life as it comes. You should remember that everything happens for a reason. Your job is to figure out what that is, make the most out of every situation and keep growing with every step you take in life. You’re one of those kinds of people who work hard to get what they want in life and also to help others. Consideration, honesty, loyalty, and openness are some of your qualities. Although, sometimes you end up involving yourself in so many activities and projects at the same time, that it has a negative effect on your discipline and can make you lose your cool. It’s good and exciting to work on your projects and help others, but you need to bring order to your life if you want to be successful in everything you do. Choose a few tasks and do them well. Don’t look to get involved in many activities which will consume a lot of your time and effort to be completed. You’re definitely a sincere, discreet and eloquent person who places a high value on knowledge and good ideas. You know that ideas have the power to change the world and that’s why you cling to yours, promote them and try to bring them to others. But, when you’re met with indifference from others, you can get frustrated and not know how to deal with it. Remember that there are three basic rules which will give you all the inner peace you need: live, let live and don’t judge others. You can assume you’re always on the right path, but don’t make the mistake of thinking it’s the only path. You’ve always been a friendly, artistic person, who is curious about the world and how it turns. Your sensitivity is more acute than average, giving you a great sense of beauty (which you apply to your personal and spaces) and great empathy for others. You always express your independence, and in some cases, you can exaggerate and seem too imposing and temperamental. Your challenge involves learning to be tolerant and accepting others’ differences. This is because, until now, you’ve caused hard conflicts with loved ones just over opinions. Once you achieve this goal your life will be much more peaceful and happy. You’ve always been an active, determined, hard-working, goal-oriented person. When you want something, you go after it in a very direct way and with all the determination needed to get it. But, paradoxically, that great virtue can betray you and become your greatest weakness when you work too hard without respecting limits. You fill your spirit with stress and your person with mental and physical exhaustion. Personal development and achieving goals is something wonderful. However, being healthy and having loved ones to celebrate your accomplishments with is just as, if not more, important. Accept that you need rest, and a good way of getting it is spending more time with the people you love in life. This will allow your life and your work to become more satisfying and fulfilling. You’re full of goals and dreams. You’ve imagined how you’ll make them a reality and you stick to that plan as if it was set in stone. Of course, you’ve already achieved great things, but if you dare to add a little more freedom and spontaneity to the way you go after your goals, your life will improve and the results won’t cost you. Remember that even the most serious parts of life can be tackled with a gentle, sincere smile. In Just A Minute, You’ll Learn Something Very Important About Yourself! Good Luck! 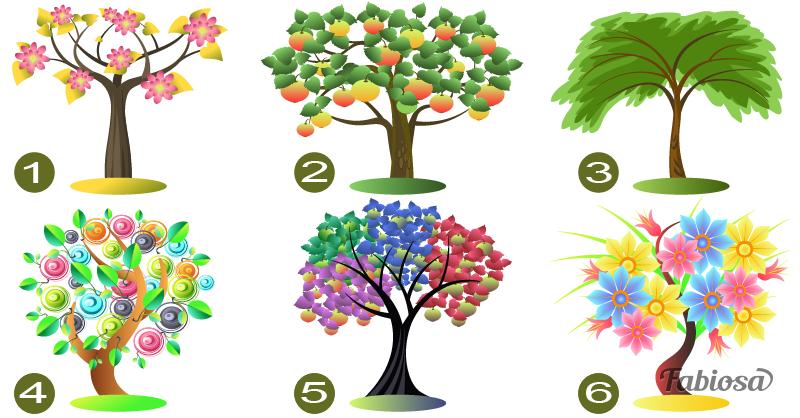 Quite often we propose you tests which can reveal a lot of interesting and valuable information about your personality. Today’s test is to tell you about your current situation and problems you should pay your close attention to. 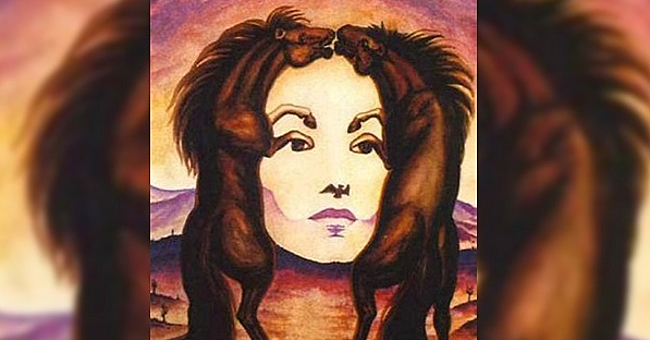 All you have to do is to close your eyes, relax, and then look at this picture. 1. If it is a face of a woman, you are very tired. You are a kind and sensitive person and some people try to use you. Probably, there is a person in your life who literally pushes you. You’ve got to be strong, learn to defend yourself, and do not let anyone manipulate you. 2. If you’ve first seen two horses, you should be patient, because, probably you are in love or will fall in love soon. Although this relationship will not be easy, if you manage to overcome all the obstacles, you’ll build a happy family. 3. If you’ve paid your attention to little details like mountains and a bird, you’ve got to look around and take all great opportunities your life gives you. As a rule, you help other people get a success, but now it’s your turn. You should try yourself and you’ll see how much you can do.